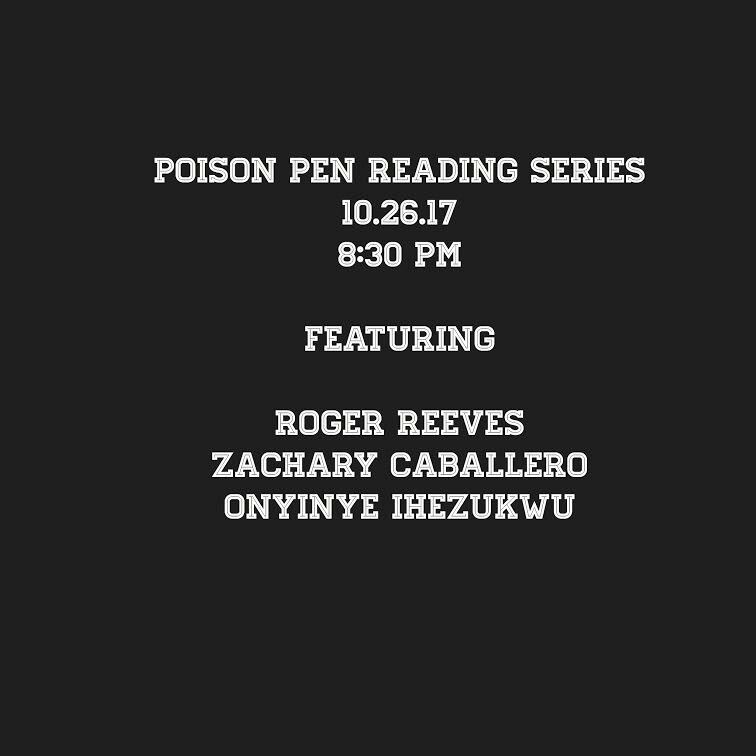 Join us Thursday, October 26th to hear these amazing readers for FREE. Reading starts at 8:30 p.m. Yes, this line up is real. Get ready. Zachary Caballero is a Mexican-American poet from Texas. He has toured nationally and taught writing and performance workshops throughout Texas. He was a member of the 2010 Austin Youth National Poetry Slam Team, They Speak Youth Poetry Slam and a two-time member of the Austin Poetry Slam’s National Team in 2013 and 2014. He co-founded the University of Texas’ only poetry organization, Spitshine Poetry in 2011. Caballero co-coached Spitshine’s 2014 National Slam Team, who took first place at the College Union Poetry Slam Invitational. In 2014, Caballero worked as a member of FutureCorps, a team of poets, teachers and activists who helped organize and run the 2014 International Youth Poetry Festival, Brave New Voices, hosted by Youth Speaks. Currently, he works for Writers In The Schools (WITS), attends law school, writes & performs poems, and watches the rain in Houston, Texas. Additionally, he has one heart, and it is a homemade tortilla. was born in Nigeria where she has worked as a broadcaster. Her work largely explores changing socio-spiritual themes in the urban Nigerian setting. Her fiction has appeared in The Virginia Quarterly Review, The American Scholar, The St. Petersburg Review, among others. She’s working on a novel.